Palestinians in the Occupied Territories are among the most watched people on the planet. They’re under the constant gaze of Israeli soldiers. But in the Israeli media, Palestinians aren’t as visible as you might think. And when they do attract news coverage, there’s a perception issue. Too often they’re framed as problems – security problems for the most part. The relative absence of Palestinians in the Israeli media has an effect on Israelis, to the extent that many Israelis refuse to believe that an occupation that has lasted more than half a century even exists. The story of a young Palestinian girl – and her confrontation with an Israeli soldier two months ago – has got people talking. Ahed Tamimi was filmed slapping a soldier outside her home in Nabi Saleh, in the Occupied West Bank. The video of that confrontation triggered a media frenzy in Israel. In Israel, Tamimi’s confrontation with the soldier is widely viewed as a provocation, a trap, designed to elicit a violent response that could be used to discredit Israel abroad. Which is why so much of the often hysterical media coverage of this case has focused on her appearance and how it plays to an international audience. Tamimi doesn’t fit the Israeli stereotype of what Palestinians look like and a number of prominent voices in the media argued she was being used in ‘Pallywood’ propaganda. “They imagine Palestinian women are all oppressed, passive, veiled…always in the background. Ahed is the extreme opposite of that. She is young, has supposedly ‘European’ features. She reflects the image Israelis have of themselves – suddenly a Palestinian sabotages that self-image,” says Honaida Ghanim, director of The Palestinian Forum of Israeli Studies. The one-dimensional coverage of Palestinians in the Israeli media is a problem that extends beyond Ahed Tamimi. News outlets know that Israeli audiences aren’t interested in nuanced representations of Palestinian life under occupation. “On TV broadcasts, you can track ratings minute by minute. And when a feature about Arabs does not present them in an entirely negative way, and actually even if it does present them in an entirely negative way, the ratings go down” says Oren Persico, a writer with The Seventh Eye. The Listening Post’s Tariq Nafi explores the case, the coverage and the incarceration of Ahed Tamimi. BETHLEHEM (Ma’an) — Israeli authorities on Thursday issued 46 administrative detention orders against Palestinian detainees, including a female journalist, according to the Palestinian Prisoner’s Society (PPS). PPS attorney Mahmoud Halabi said on Thursday that Israeli authorities issued a four-month administrative detention order against Palestinian journalist Bushra Taweel. 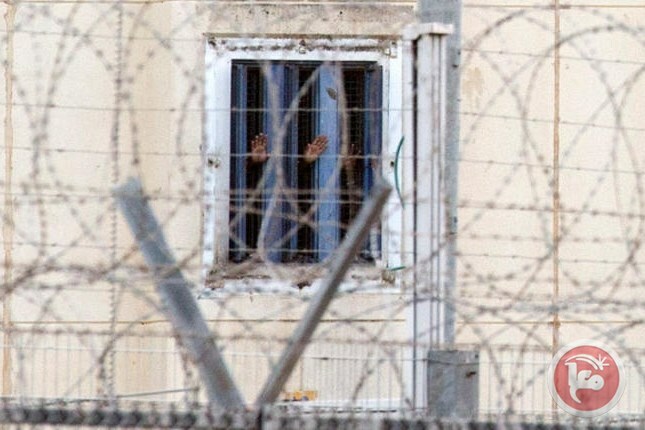 According to PPS, amon the Palestinians who were issued administrative detention orders on Thursday, 10 of them are former prisoners who were re-detained.Israel uses administrative detention almost exclusively against Palestinians. The widely condemned Israeli policy allows for a detainee to be sentenced for up to six-month renewable intervals based on undisclosed evidence. Rights groups have claimed that Israel’s administrative detention policy has been used as an attempt to disrupt Palestinian political and social processes, notably targeting Palestinian politicians, activists, and journalists. According to prisoners rights group Addameer, there were 6,279 Palestinians in Israeli prisons as of August, with 465 being held in administrative detention. Activists in besieged Eastern Ghouta have begun a social media campaign to highlight the plight of children trapped in the region as regime attacks continue. Under #Iamstillalive activists are posting their own pictures and their children with one arm raised. The attacks carried out by the Assad regime and its supporters in Eastern Ghouta have killed 127 children in the past 12 days, according to the White Helmets civil defense group’s report. The attacks continue despite a cease-fire in the region. On Saturday, the UN Security Council unanimously adopted a resolution demanding a 30-day humanitarian cease-fire in Eastern Ghouta. On Monday, Russian President Vladimir Putin ordered a daily pause to airstrikes in the besieged area from 9 a.m. to 2 p.m. (0600GMT to 1100GMT) to allow civilian and medical evacuation. Speaking to Anadolu Agency, Eymen, a child in Eastern Ghouta, said he was grateful to be alive. “They say there is a cease-fire between 09 a.m. – 2 p.m. but they are lying. They are shooting in the middle of the cease-fire. Everyone is lying to us, we are starving to death, we sleep with distress and wake up with it,” he said. “We are tired, we are trying to live under starvation,” said Isam, another child from the region. “The airstrikes hit us but thank God I survived,” said Abdul Qayyum, another child who was injured in a regime attack. Eastern Ghouta, which is home to 400,000 people, has been under siege for the last five years and humanitarian access to the area has been completely cut off. In the past eight months, Assad regime forces have intensified their siege of Eastern Ghouta, making it nearly impossible for food or medicine to get into the district and leaving thousands of patients in need of treatment. Israel’s judiciary system reportedly did not, and still does not, act in isolation from Israeli political considerations in many stations related to Palestinian lives and the ongoing conflict on the ground, between settlers, the government of Israel and Palestinian citizens. The judicial system usually intervenes under the direction of the political and security levels to legitimize, here and elsewhere, the confiscation of Palestinian land and its transfer for settlement purposes. Within this context, there is an attempt to politicize the Israeli judiciary to work smoothly, to settle and legitimize more settlement outposts set up by the Israeli government, in the West Bank. In an interview with Israel’s Ch. 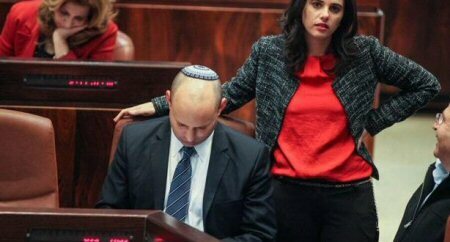 7, Justice Minister Ayelet Shaked revealed Israeli efforts, in the field of law and order, to settle and legitimize settlement outposts in the West Bank. PNN further reports that the Israeli government has begun the building of units in the new settlement of Amihai, located near the settlement of Shilo, between Nablus and Ramallah cities. Ameihai settlement is supposed to house 40 families evacuated by Israeli authorities in February of 2017, from the “Amona” settlement near the Ramallah governorate, which was built on private Palestinian land. The Israeli “Kelvin” company, for excavation works, has put up mobile homes in the new “Amihai” settlement, on the lands of Jaloud village, in Nablus, in basin 16 (also known as Jabal Abu Rokhm), where extremist settlers asked the government to recognize the settlement, following Israeli occupation forces’ evacuation of the Amona outpost. The new settlement seized agricultural land comprising more than 205 dunams on September 11th, under the pretext of appropriating “State land”. Israeli Interior Minister Aryeh Deri said, earlier, that all obstacles of construction in settlements have been removed, as a budget of more than NIS 40,000,000 was allocated for that. Reports said the Israeli Ministry of Finance would transfer NIS 55,000,000 to the Interior Ministry, to be transferred to the Regional council in the occupied West Bank. Moreover, Deri gave the green light to Israeli Planning and Construction institutions for the construction of a new settlement near the Qalqilia city, to accommodate more than 20,000 settlers through the four merging settlements of Sh’ari Tekva, Itis Efrim and Elkana within one regional settlement council. “Oranit” will be added, in 2023, to be the large city for settlers. On the other hand, PM Netanyahu has allocated NIS 60,000,000 to build homes for settlers, who will be evacuated from the “Netiv Haqvot” outpost, to the south of Bethlehem. The Israeli government will evacuate settlers from 15 buildings, from the outposts. Education Minister Naftali Bennett and Justice Minister Shaked visited the outpost and met with the settlers, assuring them that they will work with the government to postpone the evacuation process. In Jerusalem, the Jerusalem Municipality approved a plan to build 3,000 settlement units outside the Green Line, in occupied Jerusalem, on 280 dunams, naming it the “Olive Grove” neighborhood. In serious statements during a closed-door meeting with the heads of Jewish organizations in North Africa, the US Ambassador to Tel Aviv, David Friedman, explained that the issue of evacuating settlers worries the Israeli government, adding that the military’s leadership is more oriented towards religious Zionism, and that its officers are committed to this land as the land given to them by the God, believing that the eviction could lead to civil war. 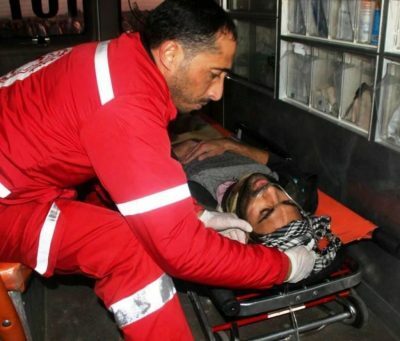 Israeli soldiers invaded, on Saturday evening, the village of Fahma, south of the northern West Bank city of Jenin, and caused many Palestinians to suffer the effects of teargas inhalation. 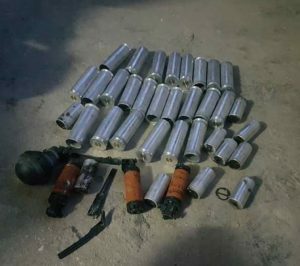 Media sources in Jenin said the soldiers fired a barrage gas bombs and concussion grenades at many Palestinians, who protested the invasion. The Palestinians gathered in the center of their village, before the soldiers attacked them, pushing many to throw stones at the invading army jeeps. Palestinian medics rushed to the village and provided the urgently needed treatment to the wounded Palestinians. In related news, the soldiers installed a sudden military roadblock on a section of Jenin-Nablus road, near Anza village, before stopping and searching dozens of cars, and interrogated many Palestinians while inspecting their ID cards. 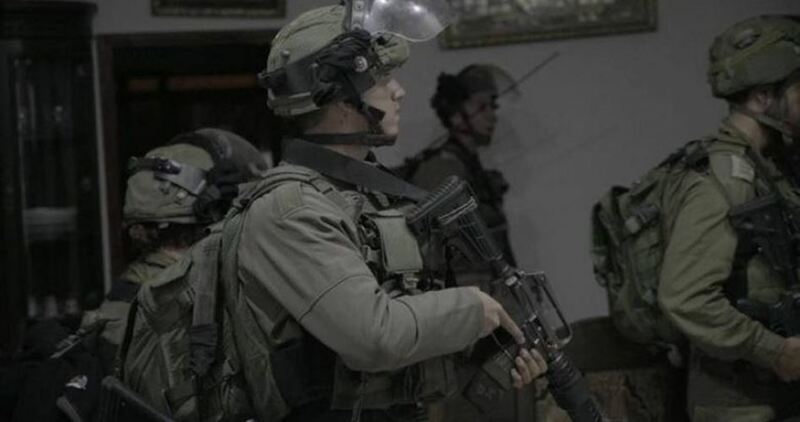 The Israeli occupation forces at daybreak Sunday kidnapped 10 Palestinian civilians and detained 40 workers in abduction sweeps rocking the occupied Palestinian territories. The list of arrestees included youngster Mohamed Hamdan, from Ramallah, and Ali al-Kak, from Kafl Haris town, in Salfit. The occupation soldiers also kidnapped the young man Abdul Rahim Abu Assaad from al-Khalil’s northern town of Idna, along with Nidal Ajaj and Mohamed Radad from Saida town, in Tulkarem. At the same time, 40 Palestinian workers have been detained by Israeli policemen as they entered territories occupied in 1948. The police inspected their identity documents, claiming they entered the area without work permits. In a renewed attempt to torpedo the Palestinian reconciliation, a senior Palestinian Authority (PA) official has unveiled that there are fundamental disagreements obstructing the efforts to end the national division. 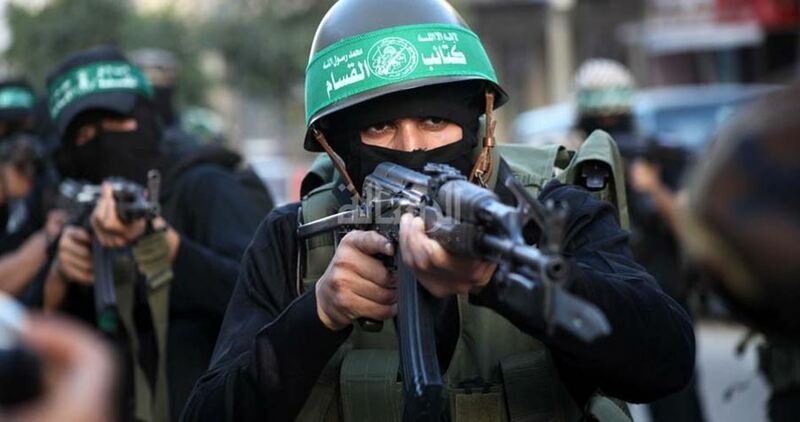 According to al-Araby al-Jadeed, the official said that the weapons of the Palestinian resistance and the issue of employees are the main reasons that disrupt the reconciliation, affirming that the PA wants to disarm the resistance. He also described the file of civil servants who had been appointed over the years of the national division as a main contentious issue, downplaying the recent talks between Hamas and Egyptian officials. 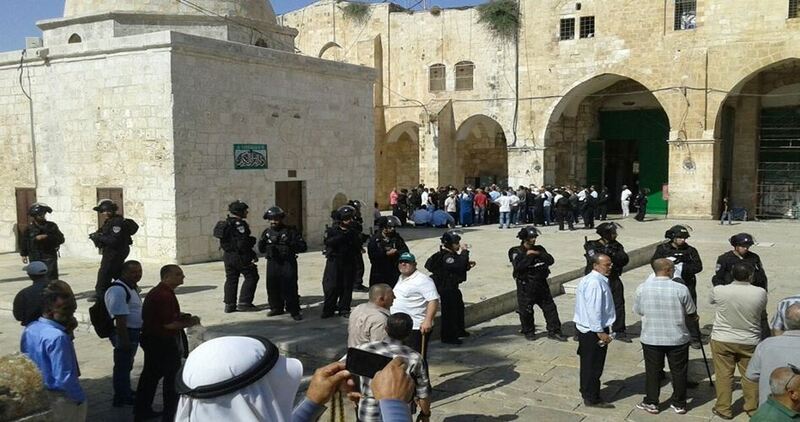 Hordes of Israeli settlers stormed al-Aqsa Mosque’s courtyards on Sunday under heavy police protection. The PIC reporter said that 46 settlers broke into the Mosque via al-Maghareba Gate in consecutive groups with strict security measures imposed at al-Aqsa gates. He pointed out that the former head of the Shin Bet Ami Ayalon led 32 Jewish students into the site and delivered presentations on the history of the alleged “Temple Mount”. Settlers’ incursions into al-Aqsa Mosque are carried out on a daily basis, except for Fridays and Saturdays, though al-Maghareba Gate whose keys were seized by Israel in 1967. 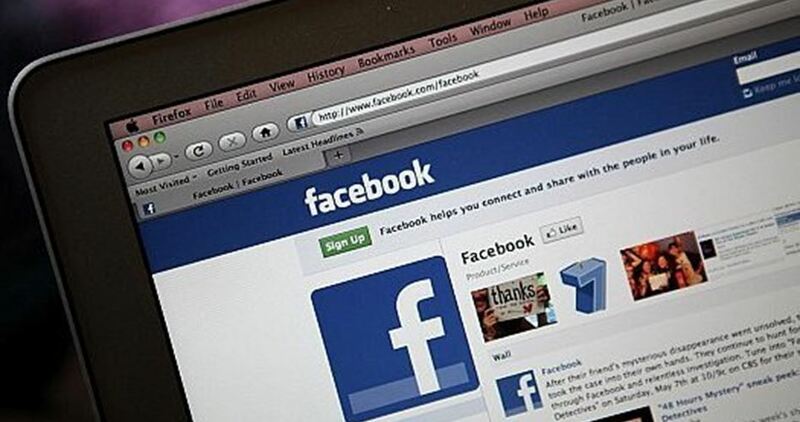 A Palestinian social media center has accused Facebook of escalating its violations against pro-Palestine pages and freedom of expression during last February. According to Sada Social, Facebook committed last month 100 violations against pro-Palestine pages and published contents, including the removal of 48 pages and 52 postings. Sada Social pointed to a significant increase in the violations committed by Facebook against pages or contents supporting Palestine, saying its violations during February alone amounted to more than half of the violations it had committed during the entire year of 2017. Israeli planes on Sunday sprayed toxic pesticides on Palestinian farmlands along Gaza’s eastern border. Israel regularly sprays Palestinian citizens’ agricultural lands located near the border with dangerous pesticides which destroy the crops. 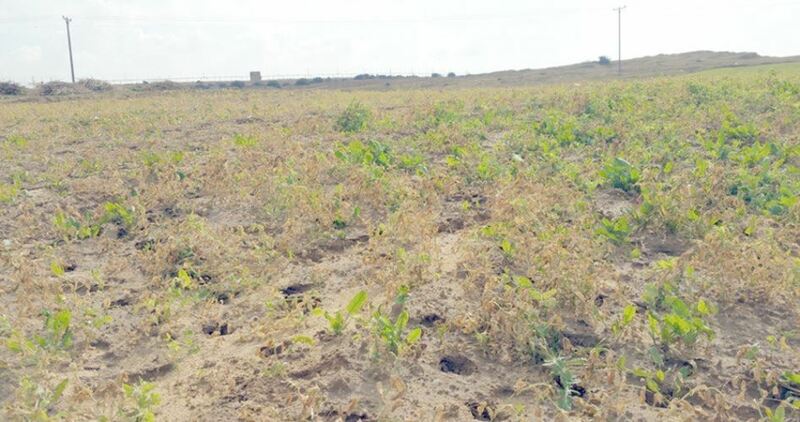 Farmers and eyewitnesses told the PIC reporter that Israeli planes started in the early morning hours to spray farmlands east of Gaza city with poisonous chemical substances, affirming that these pesticides have a negative effect on the crops and cause farmers to suffer huge losses. Farmer Abu al-Said explained that the effects of Israeli pesticides appear two or three days after they are sprayed. Israel claims that it only sprays weed killers near the border fence, but it usually sprays hundreds of dunums of land around the targeted areas killing and damaging Palestinian crops.